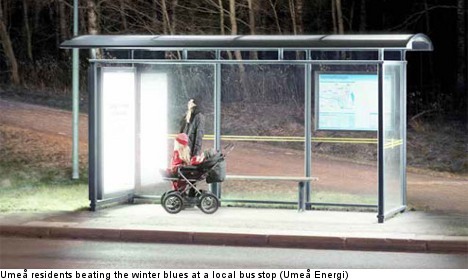 "An energy company in Umeå, northern Sweden, has installed phototherapy lights in the city’s bus stops to combat the short days, lack of sunlight, and residents’ depression." The thing that amazes me about this, well, one thing, is the public acknowledgement of a condition that has prevalence rates here, at least in northern latitudes, to rival rates there. So when are we getting these in Seattle? Amazing!